If not otherwise stated, all manuals, cascading style sheets, and included code are NOT GPL, and are released under "JooThemes.net" Proprietary Use License" unless specifically authorized. When you don't want to have link back on the template footer or want to use our templates for commercial websites, you have to pay 10 USD via PayPal. 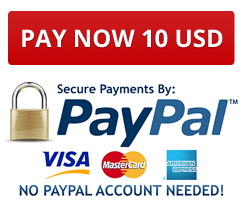 When you don't want to have backlinks on the template footer, you have to pay 10 USD via PayPal. Our templates have backlink to our website joothemes.net, because for us this is the way to provide these templates for free. Backlinks helps us. You get a free template, we get backlink. When you don't want to have backlink on the template footer, you have to pay 10 USD via PayPal. We guarantee that the templates are free of cookies and without unwanted scripts. There are only link to our website joothemes.net. Joothemes.net does not offer refunds for purchased products. Unlike physical goods, electronically distributed software and software licenses can be easily duplicated. Once we have distributed a release version to the customer, the sale is final, and you may not return the software for a refund or credit. Please be cautious and make sure you know what you are purchasing. Under no circumstances Joothemes.net will provide refunds on "your software is not what I need" basis. Commercial License or Footer link remove license: amont 10 USD, PayPal payment. Thank you!